Ballymaloe House, the renowned Irish country house hotel and restaurant owned and run by the Allen family for over 40 years. Nestled in a 400 acre estate in rural East Cork, Ballymaloe House is only 20 miles from the historic city of Cork, and minutes from the breathtaking south coast. We pride ourselves on offering a warm welcome, tastefully decorated bedrooms and award-winning cuisine which celebrates the best of local, seasonal produce. 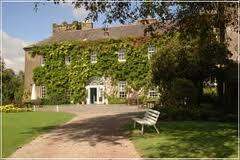 Ballymaloe is a byword for timeless elegance and pleasures of days gone by.